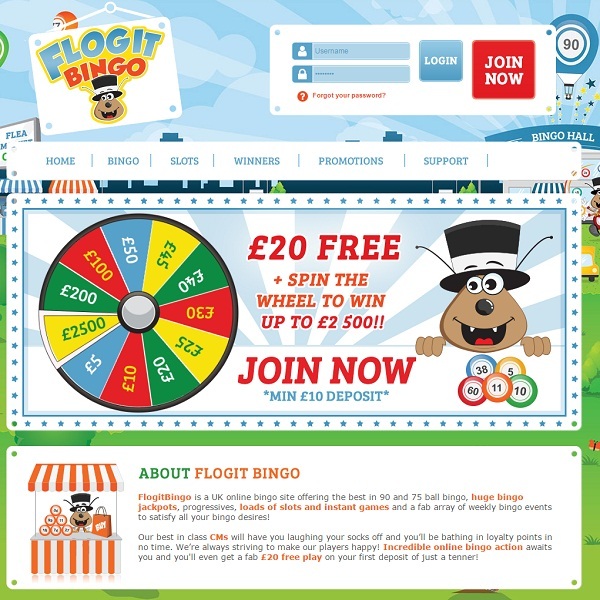 Flog It Bingo is a brand new online bingo site for UK players that is offering top quality bingo and some truly generous promotions. The site is built on Jumpman Gaming software and it offers members a collection of 90 ball and 75 ball bingo games in a variety of rooms. Many of the games offer extremely large jackpots and a number of them are also linked to progressive jackpots. Players at the site can also enjoy a great selection of slot side games such as Temple of Isis, Irish Luck and Fluffy Favourites. New members of the site will have the chance to spin a bonus wheel which will award them a prize between £5 and a massive £2,500. There is also a 200% first deposit bonus of up to £20 available as well as many other ongoing promotions.